A coin counting machine is a wonderful teaching tool for children that are just beginning to learn about counting money. While digital money jars and currency counters are fun for older kids, smaller children need more interaction. 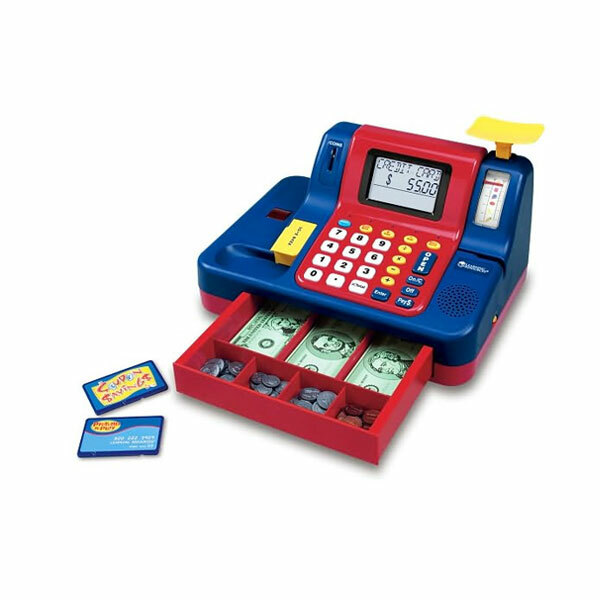 The Teaching Cash Register is exactly what young minds need. 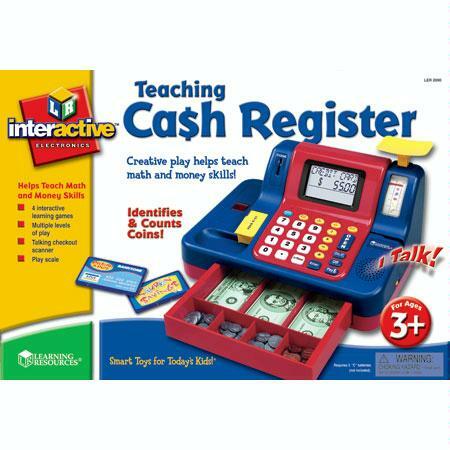 The register comes with fake cash and coins so your child is ready to play (learn) right away. Play money is fine, but this machine holds real money too. Your child will learn how to identify pennies, nickels, dimes, and quarters with four different built-in games. 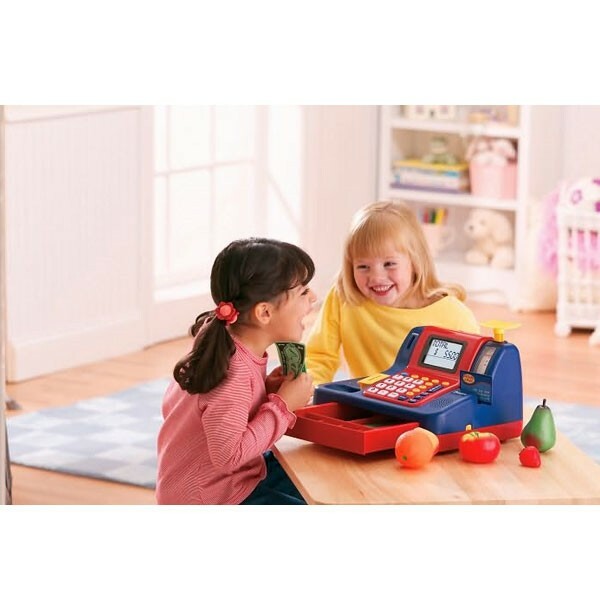 Adding and subtracting money is more fun with bright lights, sounds and a talking register. An automatic shut-off will make your 3 'C' batteries (not included) last longer and the volume control is great for Mom and Dad.